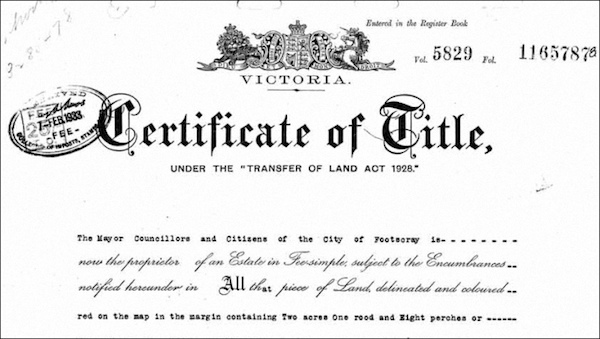 Prosper Australia will be appearing at the Inquiry Into the Proposed Long Term Leasing of Land Titles and Registry Functions of Land Use Victoria (LUV). A number of transcriptions from previous witnesses, including key public servants, are on the inquiry website. We have urgently been requesting these details. Some 30% of LUV’s revenue streams are to be privatised. This has important ramifications for the sale price, which we will present to the inquiry. Again the last line is important. 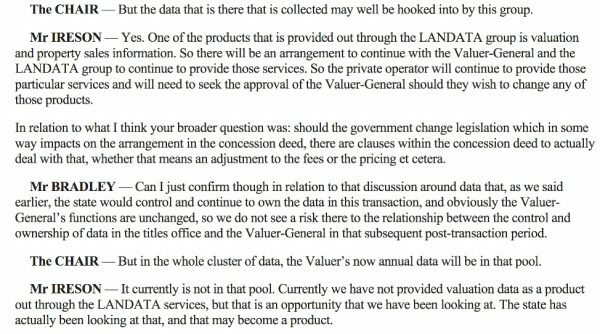 In the privatisation process, have the capabilities of LANDATA been extended to incorporate the Valuer General’s land and property data? 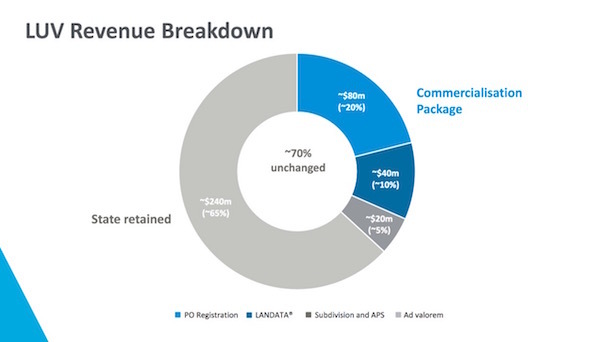 The provision of such information via LANDATA would quickly escalate the value of this website and thus the sale price. 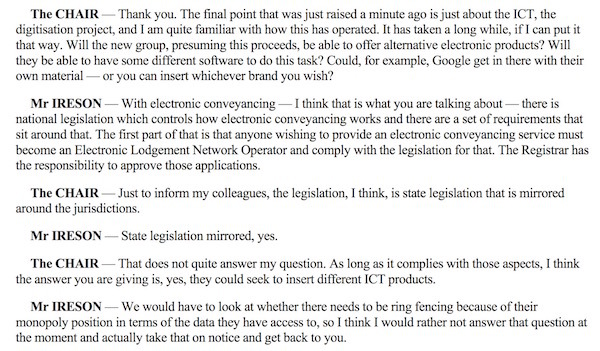 The uncertainty in these exchanges does not full one with confidence. This is akin to leaving a pot of gold and looking the other way. With the property data gold rush delivering literally billions to international data conglomerates, we expect our public servants to be across these issues and the implications they hold for future revenues. Any such privatisation inquiry should be focused on this point, rather than as a mere side note.